This is a stunning, old-fashioned table lamp which is sure to grab attention. 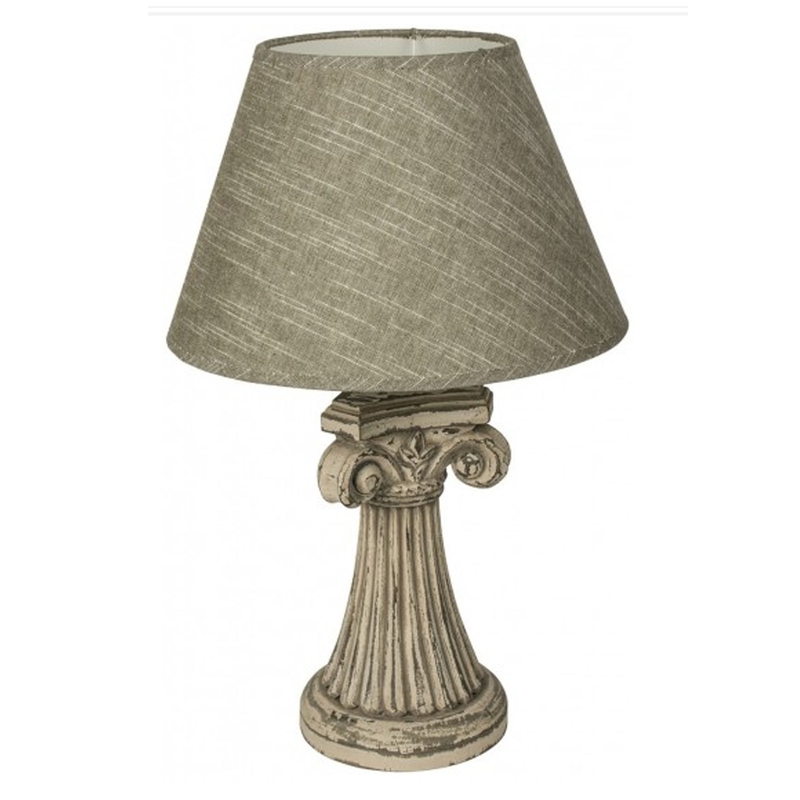 With it's antique, Greek looking base it's sure to astonish. It's very modern because of its old-fashioned nature, it also has calming colours so it doesn't draw the room completely away. It's a perfect addition to a unique home.